Scarlet Flax, an introduced species from Africa and Europe, is a very adaptable annual that can be found all throughout the United States. It usually does not grow above two feet tall, and can handle a wide variety of soil, water, and light conditions. 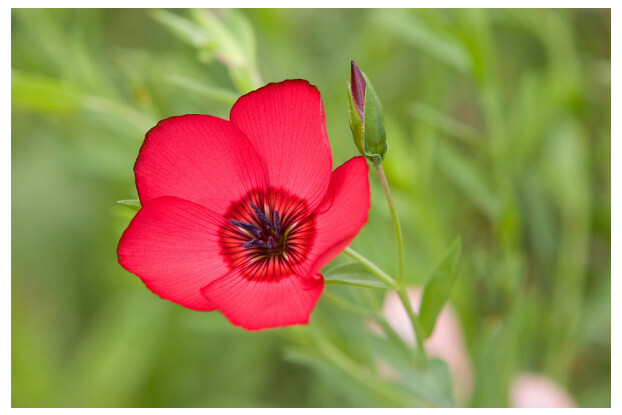 Scarlet Flax, like its name suggests, produces an abundance of small, scarlet-colored flowers outlined in black. It creates a stunning display if planted in mass. Blooms from spring to autumn.